Established in 1991, Maple Leaf Academy (MLA) has become highly recognized for its innovative approaches to language instruction. Our school is unique in the Calgary area because students receive specialized instruction by a variety of teachers. 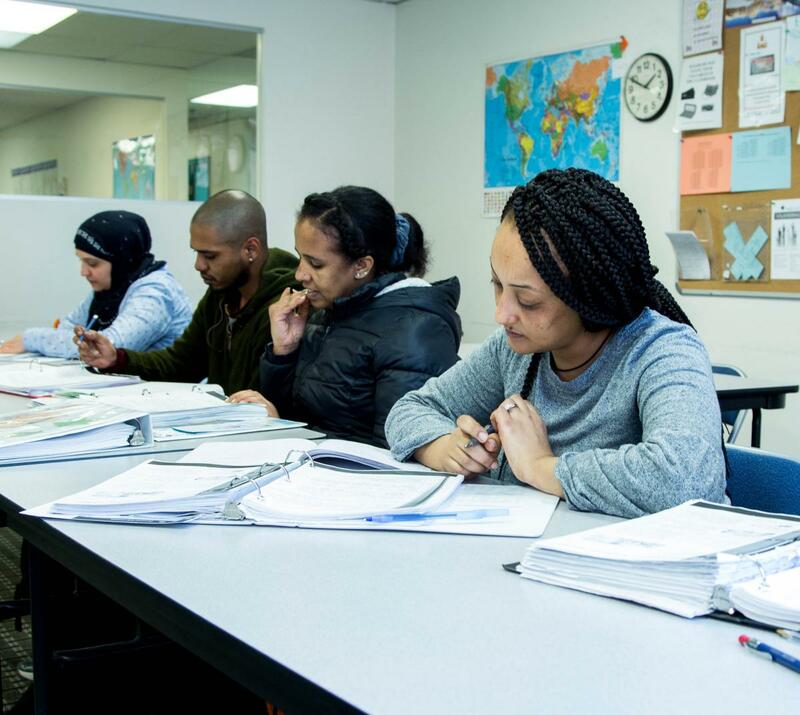 Teachers at Maple Leaf Academy are certified, qualified and experienced ESL teachers. Teachers and members of our staff represent several different cultures and languages. All are focused on assisting our students to achieve marked improvement in their English language skills. Maple Leaf Academy's small class sizes (16:1 student to teacher ratio) enable our staff to interact with students in a quick and effective manner. Our small class sizes provide students and staff alike with the ideal atmosphere to create an interactive and cooperative learning environment. The addition of multi-media technology to our school ensures that every student will receive current, cutting edge methods of instruction. This technology allows students to talk into the computer and for the computer to help students analyze where their language problems lie. Multi-media technology greatly increases the rate at which students improve their listening, sound discrimination, and pronunciation skills. We are located in the heart of downtown Calgary, Alberta, Canada (less than two hours from Banff and Lake Louise by car) on the 2nd floor of 731- 6th Ave SW.
MLA is situated less than one block away from Calgary's Light Rail Transit (LRT) system, and is easily accessible via all local modes of transportation. Our central location provides convenient access (within a six block radius) to some of Calgary's finest restaurants, boutiques, museums, libraries, banks, parks, and recreational facilities.